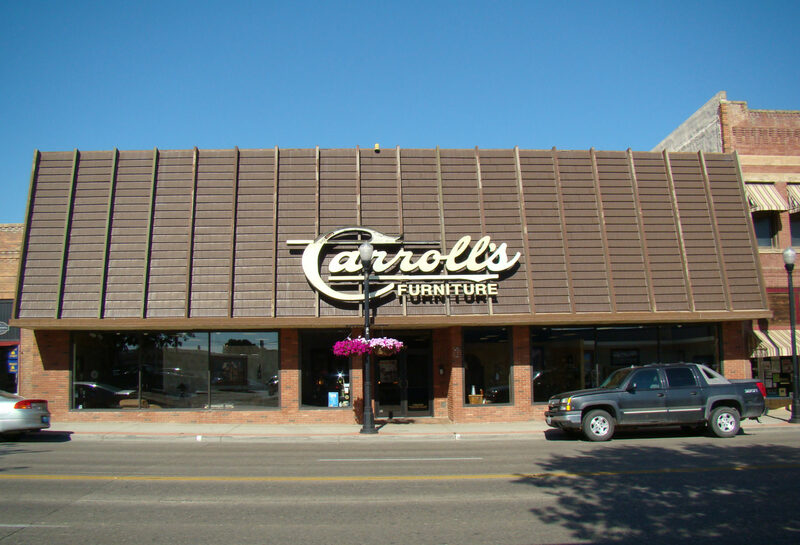 Founded in September of 1919 by Bob Carroll and Bob Thirlwell, the furniture business operated under the understandable name of “Bob’s Place,” and from its current address since 1925. The needs of the people were foremost in the partners’ minds, and as some were pressed for ready cash during the depression, the Bob’s found themselves taking in livestock, buggies, wagons, saddles, and other items for trade. For this reason, behind the store was a barn and corral from which livestock and equipment were sold. 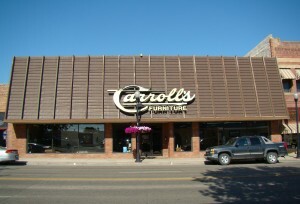 In 1925, Carroll purchased Thirlwell’s interest; the business took on its current name, with sons Cliff and Bill Carroll taking over in 1931. The second floor became the home of KWYO radio station and Big Horn Broadcasting. Cliff recalls the days of trading furniture for livestock and tells the story of coming back to the office for lunch to find a goat eating from his wastebasket. In 1967, a fire devastated the building and its merchandise. More than 50 firemen from Sheridan, Big Horn, and Tongue River plus volunteers battled the fire for 38 hours.